You've outfitted your culinary space with live edge wood shelves and a plethora of plants. But there's still something missing: boho-chic accessories. Just like the devil, your bohemian kitchen's charm is in the details. That plain silver coffee tin will no longer do. And that boring plastic water pitcher feels wildly out of place. Upgrade your kitchen's decor with these 18 must-haves to get the most out of your gorgeous boho-inspired digs. Boho by no means implies "dowdy." 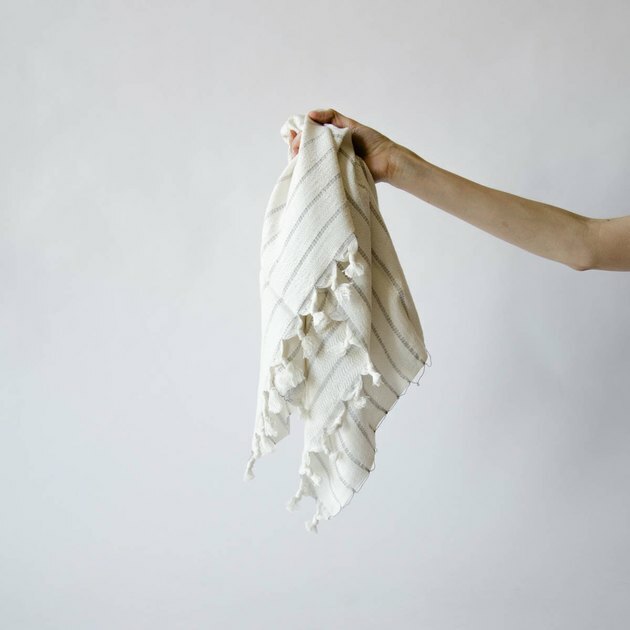 This luxurious Turkish hand towel with tassel fringe will be a delight to your hands after washing a sink full of dishes. 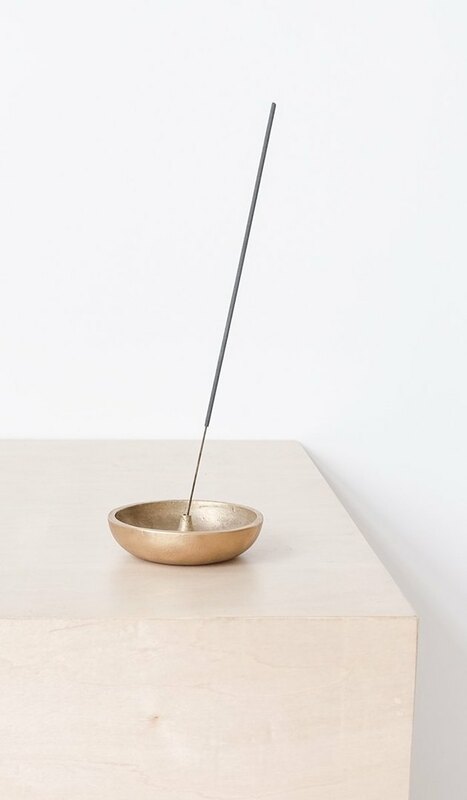 If you're not already on the incense bandwagon, this elegant solid brass incense holder is a pretty compelling reason to jump on. Besides, aromas such as Sandalwood can promote calm and clear your head for more important creative endeavors such as whipping up dinner. 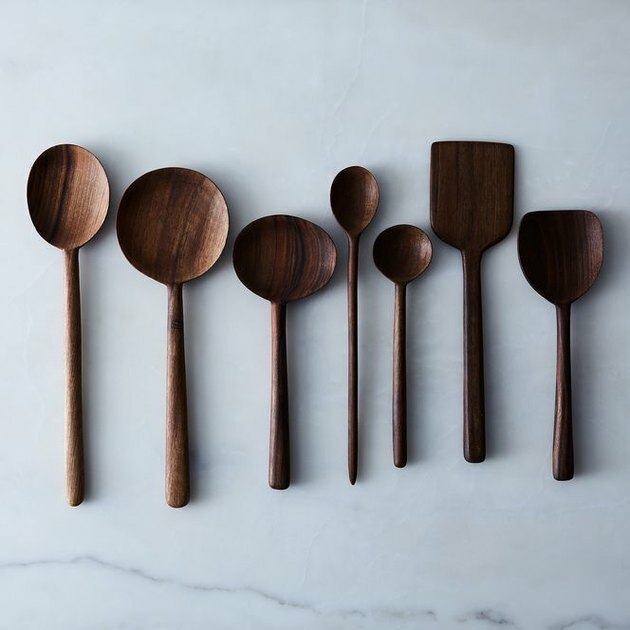 Rich walnut lends sophistication to these carved spoons, whose natural wood grain ensures each utensil is completely unique. 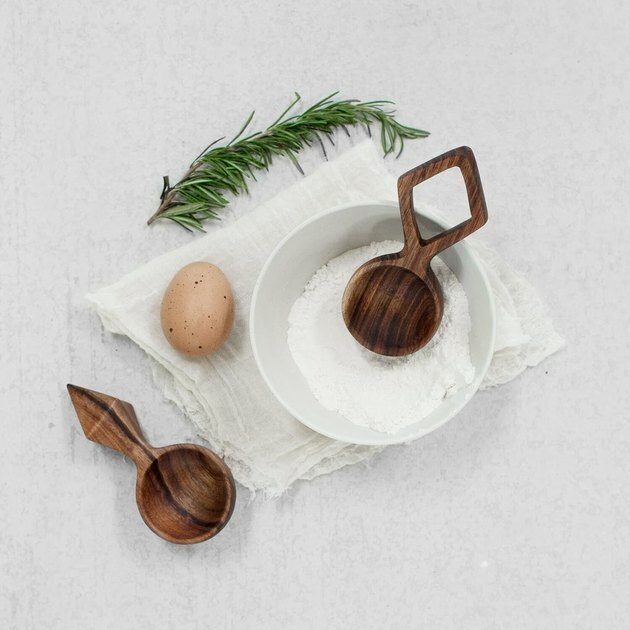 From big spoons, to little spoons, to scrapers, this handy collection will be a beautifully organic addition to your boho kitchen. 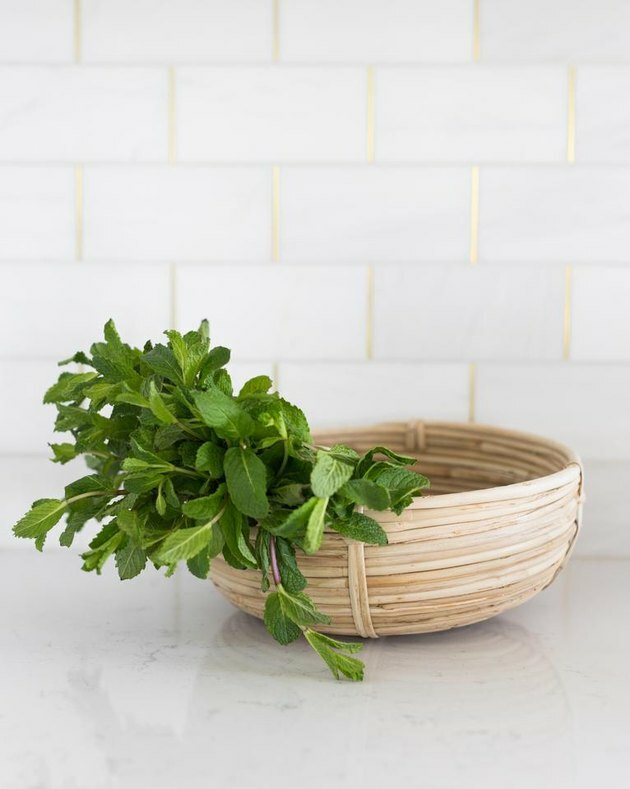 Give your oranges and bananas a cozy place to nest until you're ready to throw them in your breakfast smoothie with this stunning cane rattan basket . Nothing ruins the feel of a gorgeous kitchen faster than piles upon piles of plastic bags. 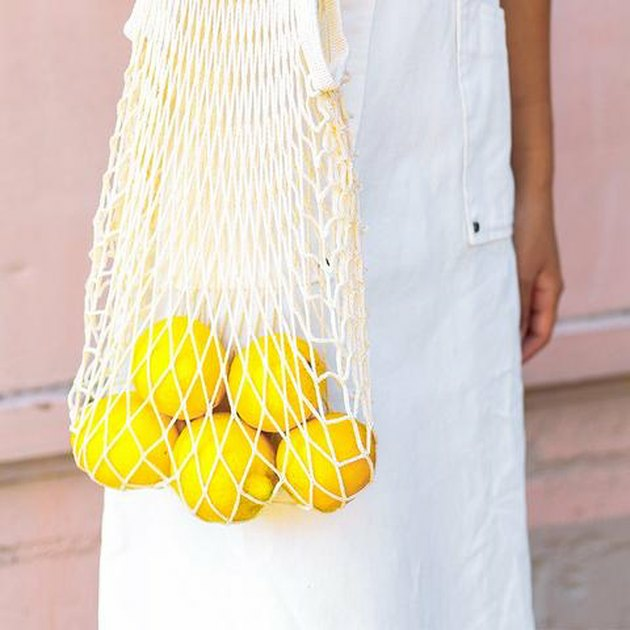 Ditch the environmentally unfriendly sacks and opt for this reusable woven tote instead. It's even cute enough to keep on the counter. Don't waste time and energy running back and forth to the kitchen shuttling drinks to your guests. 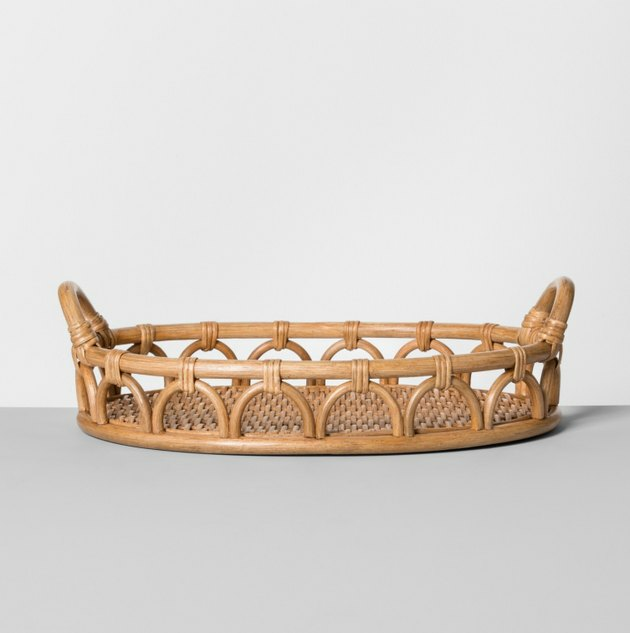 Pile everyone's carefully crafted mojitos onto this stylish rattan tray and make one trip instead. 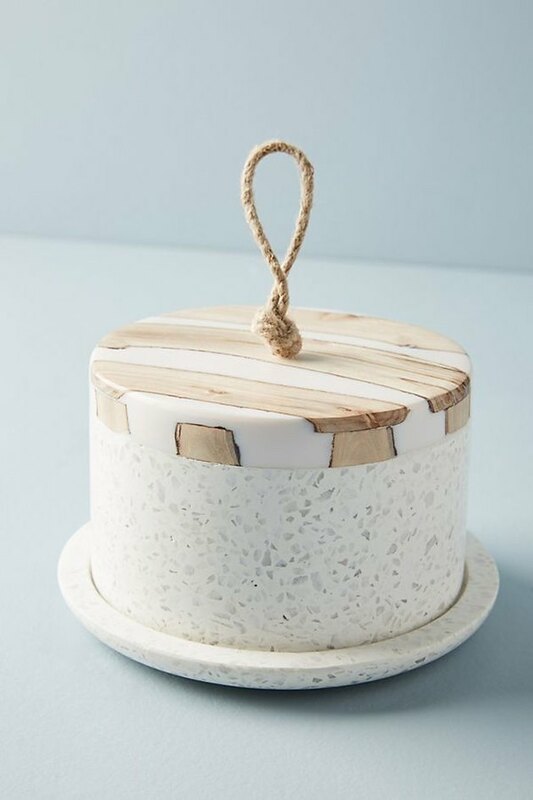 Warning: If you're counting calories, this handsome terrazzo, marble, and resin butter dish with a twine handle will have you inventing reasons to whip out the soft and creamy spread, applying it to any and everything. 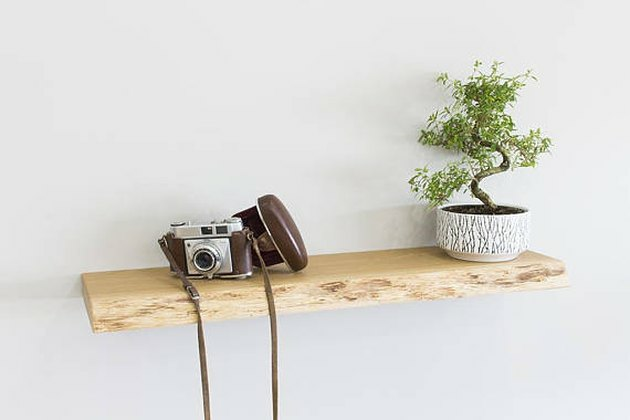 Rustic yet polished, this teak serving board looks like it could have been carved straight from the tree. 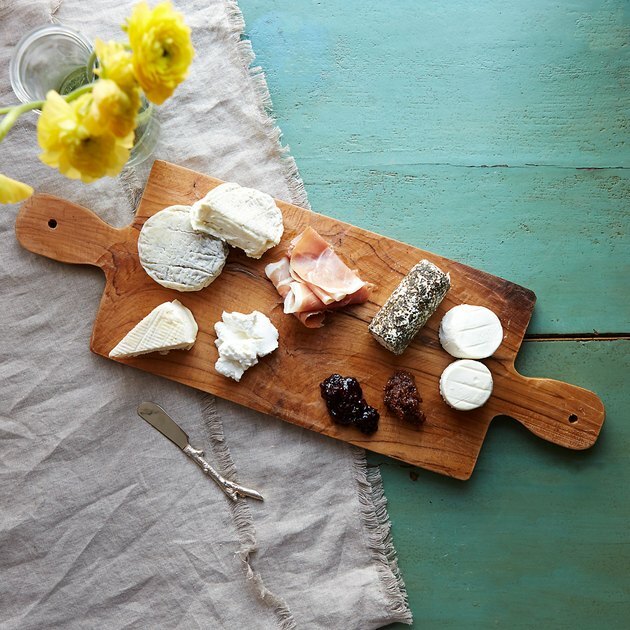 Pair with soft artisanal cheese and savory charcuterie to counter its rugged appeal. 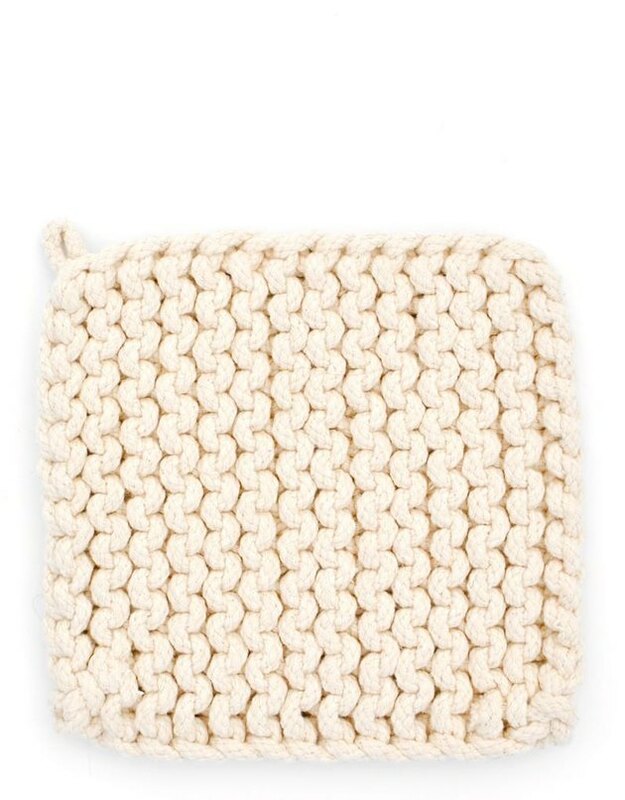 Woven from a thick, chunky knit cotton, this potholder is dripping with bohemian charm. 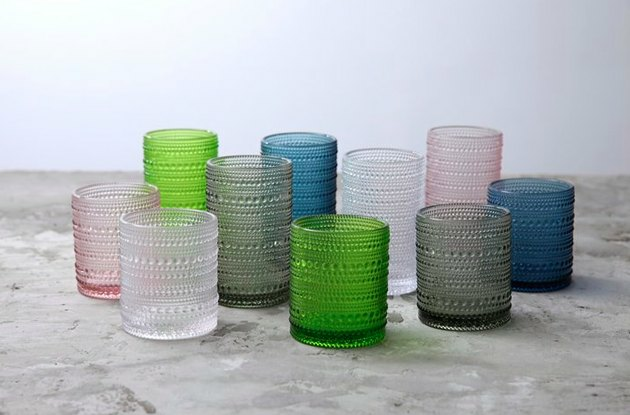 Dress up those bohemian kitchen cabinets with this dreamy glassware set. The decorative texture and jewel-tone hues will be the daring burst of color your kitchen deserves. 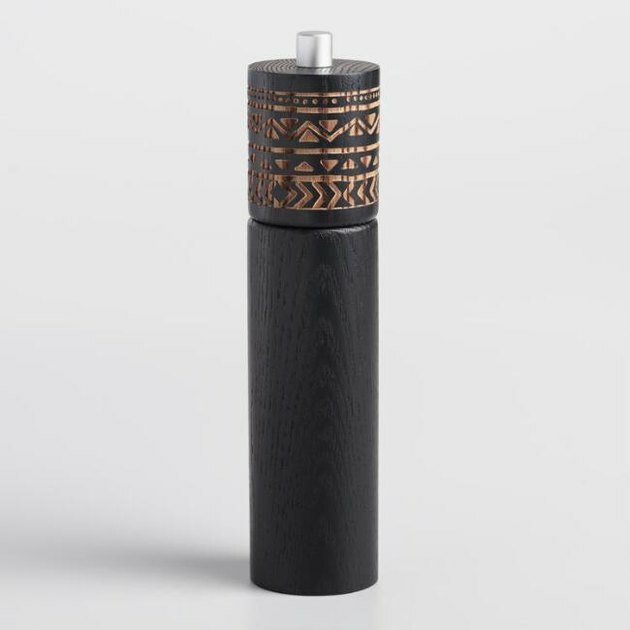 Add some Scandinavian minimalism to your kitchen — without sacrificing that bohemian flair — with this black salt-and-pepper grinder with a beautiful intricate design carved at the top. Keep the boho vibes rolling right into your pantry. 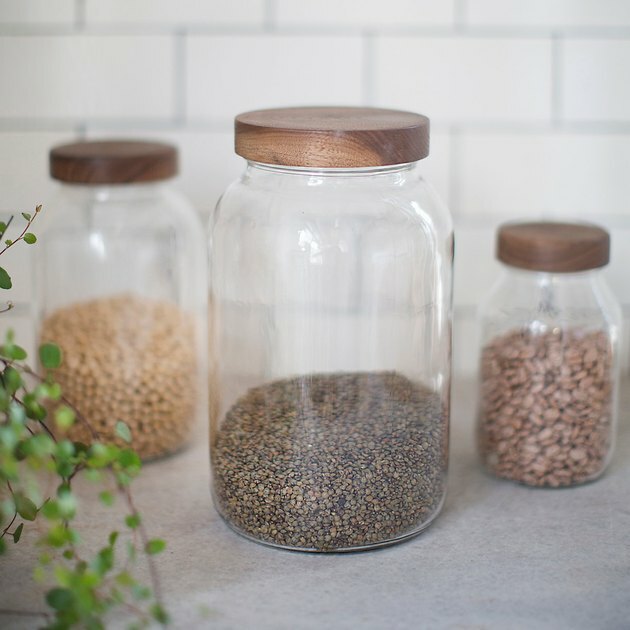 Store your flour, sugar, and coffee in these rustic glass containers with hand-turned walnut lids. 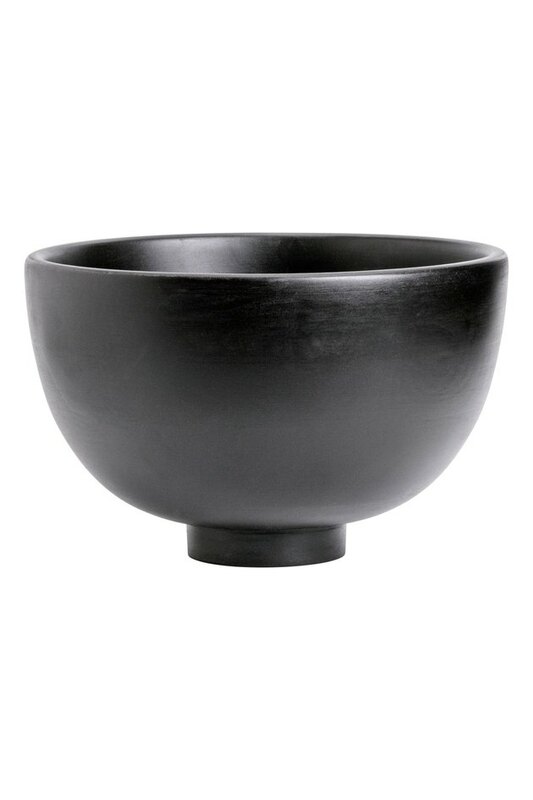 Whether sitting handsomely in your open kitchen cabinet or filled with popcorn in preparation for a Netflix binge, this large wooden bowl is a boho must-have. 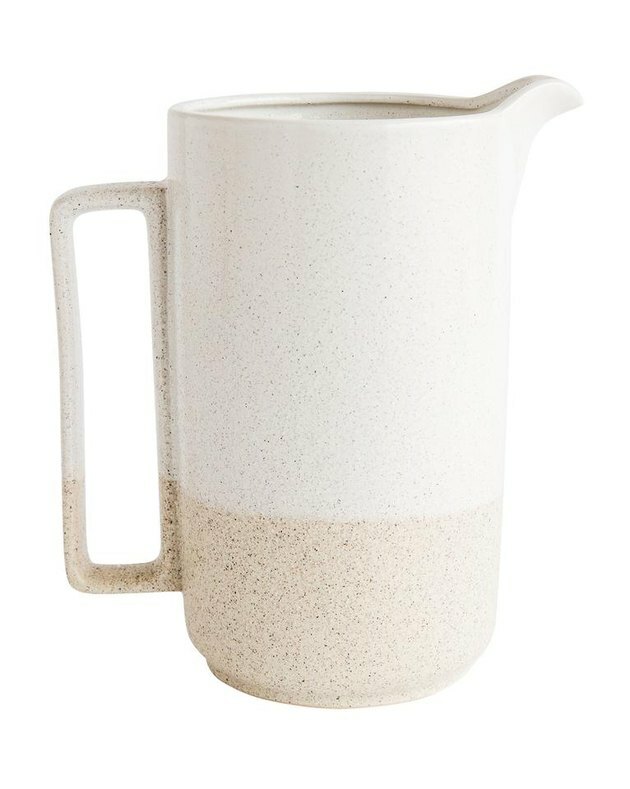 This two-tone ceramic pitcher is a sight for sore eyes. Not to mention it makes the perfect vessel for pouring your handmade cold brew iced tea. Your organic gourmet coffee deserves nothing but the best. Toss that plastic scoop you got for free with your protein powder and use these stunning geometric-shaped coffee scoops instead. Handcrafted from Tzalam wood, these tiny utensils are worthy of your sacred morning ritual. 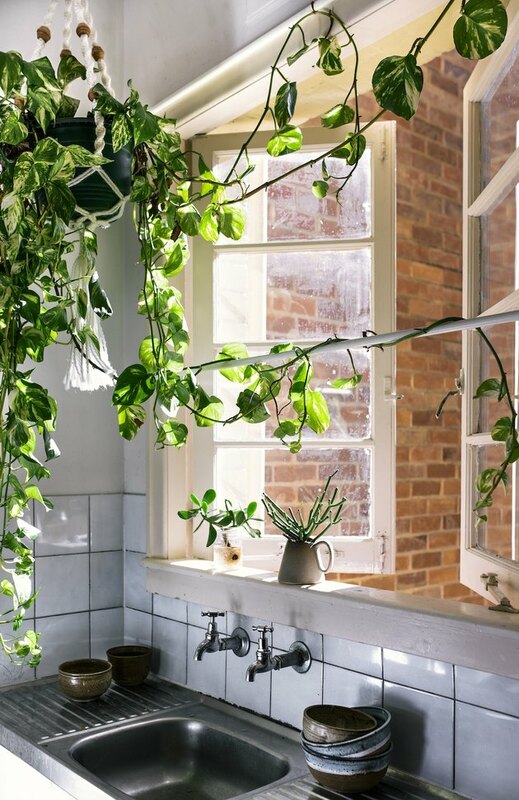 Any true bohemian kitchen will have more than a pinch of greenery. 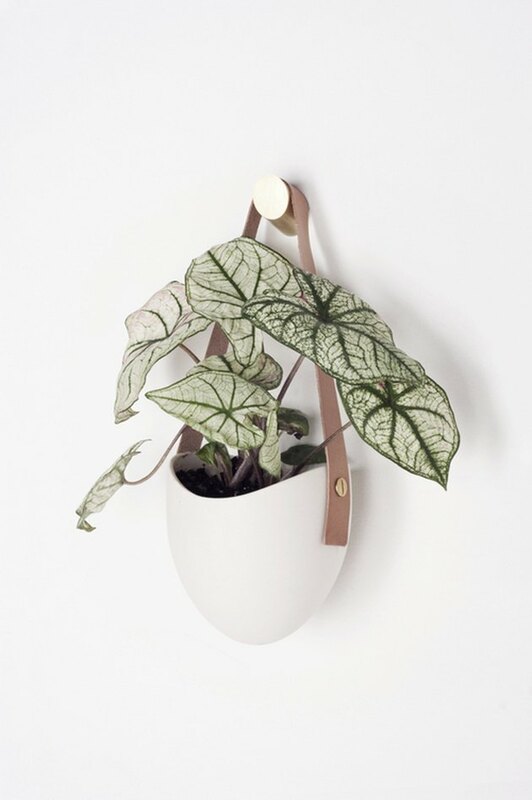 Give your verdant vines a beautiful new place to call home, and create a garden wall with these hanging ceramic and leather planters. 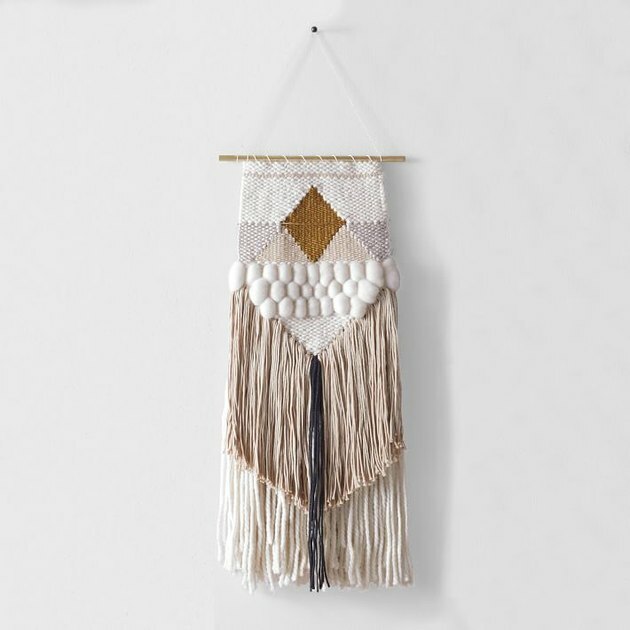 Nothing says boho-chic more than a woven wall hanging, and this piece of art is no exception. Handwoven using cotton and wool yarn, this one-of-a-kind piece of decor will easily become one of your faves. Create a little extra storage in your bohemian kitchen by installing floating shelves. The raw edge of this natural beauty will bring a bit of the outdoors in, and act as the perfect rustic backdrop to display all of your new boho decor.